This is a quick, easy, and inexpensive way to add a new side dish to your menus. A savory version of a sweet vegetable ~ seasonings can be adjusted to taste ~ Charles and I tend to like things on the spicy side so just omit the cayanne or black pepper if not to your liking add some of your favorite herb if desired. Preheat oven to 400 degrees. Wash outside of whole acorn squash. Cut in half vertically from top to bottom and scoop seeds and stringy pulp from inside ~ a soup spoon works well for this. 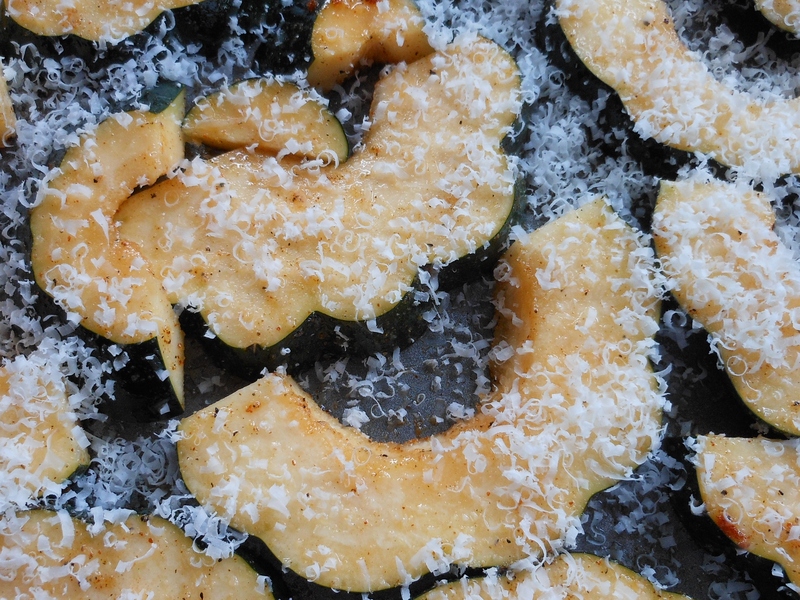 There is no need to peel the squash for this recipe ~ cut halves in approx. 3/8 in thick horizontal slices. Spread out on cookie sheet drizzle with olive oil, salt, peppers, and garlic; toss to coat. Spread pieces in single layer on cookie sheet and sprinkle with parmesan. 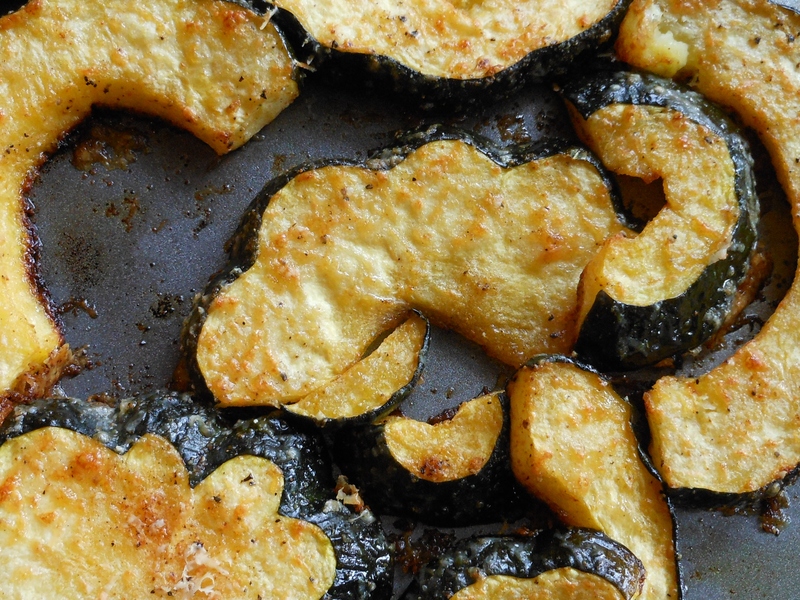 Bake for approx 25 minutes or until squash is tender and beginning to brown. If desired broil for 3- 4 minutes about 4″ from broiler to crisp further. I made this for lunch today with our Ribeye Steak Salad ~ the two of us ate every bite! Hope you enjoy too.